Yesterday, IBN Live published an article titled ‘Sorry Mr. Panda, every change doesn’t equal reform’ by Chirag Murali. As many know, Member of Parliament Baijayant “Jay” Panda has for long been highlighting the need for considering reforms of our Rajya Sabha. What seemed to have caught Chirag’s attention (and also the attention of 6 Rajya Sabha MPs who have filed a notice for ‘breach of privilege’ against Mr. Panda for this) has been Mr. Panda’s recent article titled ‘Less Check, More Balance’, where he has presented two possible changes for us to consider – either keep Rajya Sabha’s powers intact but have direct elections to it (like the US did with its Senate) or reduce Rajya Sabha’s powers so that it can delay legislation, but not reject or stall laws indefinitely (like the UK did with its House of Lords). Chirag’s article sought to raise several criticisms of these two options. Now, it needs to be mentioned at the outset that it was very encouraging to see citizens like him engage with and share their thoughts on the important changes that Mr. Panda has called for. Discussion and deliberation are crucial for progress in democratic societies, and we welcome Chirag’s decision to debate Mr. Panda’s suggestions. In that same spirit of debate, we would like to respond to the many claims that he has made in his article. The article starts off by asking why we need to consider these reforms in the first place. After all, Chirag argues, the Congress was still able to pass laws even when it was in a minority government. Of course, the answer to that question is already contained in Mr. Panda’s previous writings on this topic, which describes how other democracies have in the past reached a point where they suffered from extensive legislative gridlock caused by nominated or indirectly elected legislators stalling crucial bills. But more importantly, is Chirag’s article suggesting that we should ignore the need for institutional reforms just because a previous government was able to function within a problematic system? The current distribution of powers between Rajya Sabha and Lok Sabha is such that any government (irrespective of which party is ruling) could face a situation where the Upper House vetoes their key legislative efforts, and we need to seriously think about whether this is desirable. What makes the need for reform even more urgent, as Mr. Panda has pointed out, is that today’s Rajya Sabha elections are “akin to party nominations”, especially in light of the anti-defection law and “the 2003 amendment that did away with secret voting by MLAs for Rajya Sabha candidates”. 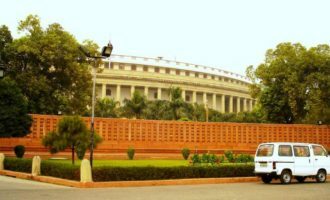 This has created the possibility for Rajya Sabha members to represent party interests more than the interests of their state, the latter of course being the original intent. Chirag does acknowledge this, though he accuses Mr. Panda of concealing the fact that it was the NDA government that brought about the 2003 amendment. Several thoughts come to mind about this accusation. First, he seems to be the only person who is actually surprised to discover that an amendment in 2003 was made by, well, the government at that time – which the average person should know was an NDA government. Second, he might actually be surprised to learn that the 2003 amendment was, in fact, supported by both the NDA and the Congress. And thirdly, whether the amendment was passed by any one party or the other is immaterial – Mr. Panda’s opposition to the 2003 amendment is a well-recorded fact. This brings us to an important rebuttal to Chirag’s article. He attempts to link Mr. Panda’s reform suggestions with what he claims is an attempt by the BJP to bring about a presidential system in India. While perhaps a case of strong political leanings making the author blind to important nuances, this conflation is both false and unfortunate. Mr. Panda been calling for reforms to reduce the ability of Rajya Sabha to indefinitely block legislation well before the BJP came to power (one example: his articles in leading newspapers in 2010 and 2011 argued for the same change). Further, he has always been in favour of the staggered model of elections to Rajya Sabha, and has not called for changes to that – unlike what Chirag says the BJP would like to see. In short, just as it would be undesirable to adopt parliamentary reform with the sole intent of benefitting one party or government (which, as discussed above, is not an allegation that can stand against Mr. Panda), it is undesirable to oppose reforms that are in the long-term national interest just because one party or government might be the immediate (but certainly not the sole) beneficiary. There are two other ways in which Chirag attempts to discredit Mr. Panda’s references to best practices from other parts of the world. One is when he makes the rather bizarre statement that in discussing different models for reforming Rajya Sabha, “comparisons with mature western democracies is a bit out of place”. Ambedkar, who led the drafting of the Indian Constitution – a document which openly borrows best practices from countries like Australia, UK, France and Canada – would surely have had something to say about that. The second is when he suggests that we should reject referring to the UK and US examples that Mr. Panda quotes, since they took place early enough for the framers of the Constitution to have known them. What he does not appreciate is that just because the framers of the Constitution chose one model does not mean that that would be the appropriate model forever. With changing times and contexts, there is a need for us to constantly evaluate our options – which, of course, is the reason why the framers of the Constitution were wise enough to provide procedures to amend the Constitution. The article unfortunately also contains many red-herrings aimed at distracting attention from the core of Mr. Panda’s suggestions. For instance, he alleges that Mr. Panda is skimming over the fact that the 1911 and 1949 amendments in the UK have been “sparingly used”. However, the frequency with which they may have been used surely makes no difference to the desirability of considering such an option in the Indian context! He also claims that Mr. Panda is “cleverly omitting” the fact that parties cannot issue whips in the US system when he cites the US model of direct elections. This is either a truly unkind cut, or the result of him ignoring how often Mr. Panda himself has called for reforms to the whip system in India. For years, he has written and spoken about the need to reform the law so that whips can be issued only in narrow cases, such as money bills or no-confidence motions. Chirag is also enthusiastic to point out that even in the US, the Senate has the power to block legislation through means such as a ‘filibuster’. But in doing so, he is inadvertently underscoring Mr. Panda’s position that we can indeed consider allowing the upper house to reject legislation if it is directly elected (as the US Senate is!). And finally, it is a bit disingenuous for him to oppose Mr. Panda’s reference to how the Italian senate’s powers to block legislation is being reduced by stating that there is also another proposal to make the Italian upper house entirely unelected. Not only is this claim factually wrong, it is also an evident attempt to disparage Mr. Panda’s suggestion by linking it with an entirely different proposal in Italy that Mr. Panda has never asked to be implemented in India. But the larger issue with Chirag’s article is that while it attempts so hard to identify problems with the two options that Mr. Panda has proposed, it does not provide any workable solution to the massive challenges that the latter seeks to solve. To be fair, it does pitch a solution – “nothing stops the party in control of LS from giving a good and consistent performance at the center and then taking control of the state and eventually controlling the RS, obviating the need [to] tame the RS”. But there is something truly remarkable about this suggestion – the article does not explain how a government in today’s system can, in the first place, display ‘a good and consistent’ performance without Rajya Sabha approval! In a system where Rajya Sabha can veto the government’s important legislative measures and thus disrupt the government’s governance agenda, it is not realistic to claim that good governance will eventually ensure a Rajya Sabha with a more cooperative composition. The article wrongly accuses Mr. Panda of wanting to dilute the voice that States have been granted through the Constitution. Nothing could be farther from the truth. One of the two suggestions he has made – direct elections to a Rajya Sabha with as much power as now – arguably only increases the voice of the States in Parliament. Besides, Mr. Panda is not in any way calling for changes to important constitutional provisions such as Article 368, which safeguards the role of the States. Ultimately, his suggestions would only preserve the voice of the State, even as it ensures that the voice is not distorted to become a veto.